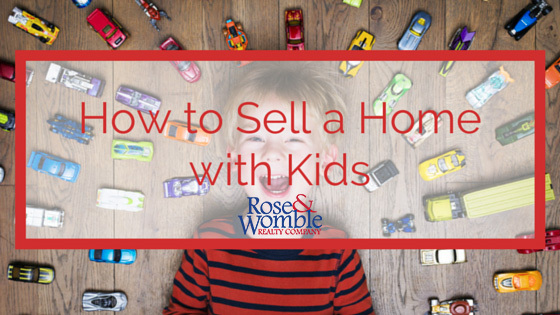 How to Sell Your House When You Have Kids - Rose & Womble Realty Co.
Getting your home ready for showings is difficult enough, but if you have small children in the home it can add additional complications. You probably have read that the real estate market is heating up, but you may have reservations about putting your house on the market if your children are messy because of the amount of work it takes to keep a listing showing ready. Here are ways you can deal with small children and keeping your home show ready. Removing children’s photos and artwork. Clearing as much clutter out of the home as possible. 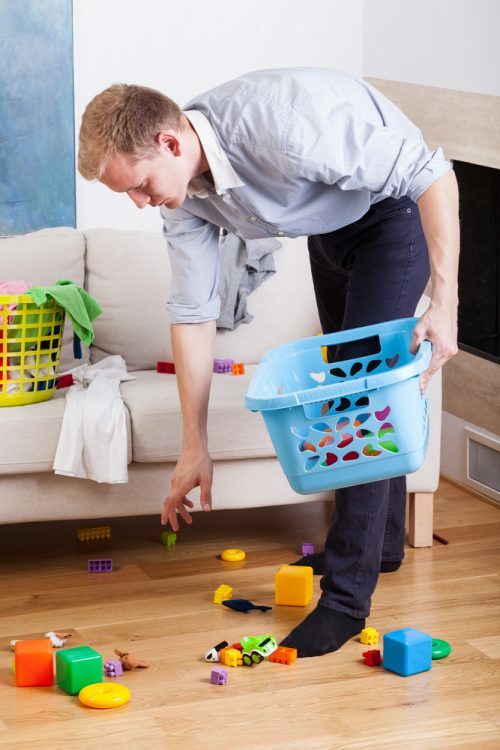 Keeping the toys in one room or area – this will make it easier to coral the kids’ stuff when a showing comes up. Neutralizing paint colors and decorations- even in children’s rooms. Most buyers look for multi-purpose rooms they can tailor to fit their own lifestyle. If you have a room in your home—a game room, den or office—currently configured as a playroom, be sure to stage the area before you start showing the house to potential buyers. Place common use furniture like a sofa or small desk in the room to help fill the space. Clean any marker, paint or other stains from the flooring or walls.By creating a minimalist open space, buyers can picture their own belongings in the room. Work with your listing agent to come up with a staging plan that will make your home appealing to as many buyers as possible. Do the dishes after every meal. Make the beds every morning and after naps. Wipe out the shower and tub after you’ve used them – this will prevent soap scum. Get the kids and yourself dressed every morning- don’t linger in your pajamas in case of last minute showings. Empty the trash cans – especially any diaper pails. Keep a bucket in every room that you can use to put items that have been left out – then put the buckets in your car trunk when you leave for the showing. Have a wax warmer you can turn on to safely fragrance your home – these are inexpensive and have some great fragrances that smell like baked goods, which many REALTORS® claim helps give the listing a homey smell. Turn on all the lights – this is a good job for older children. Consider having showing-only materials like bath mats and towels. This way they look fresh and inviting. What Happens if You Can’t Leave the House? If your REALTOR® calls you for a showing, but your child is napping, you can wait until the potential buyers come before leaving the house. Many people think they need to leave the house for hours at a time, but you can try to arrange a tighter showing window. See if the buyer’s agent could call before they are on the way. If you can’t arrange that, and if weather permits, you could take the kids on a walk around the block or even out in the backyard once the potential buyers arrive.